Rep. Maida Townsend (center-left) speaks on the House floor Wednesday. 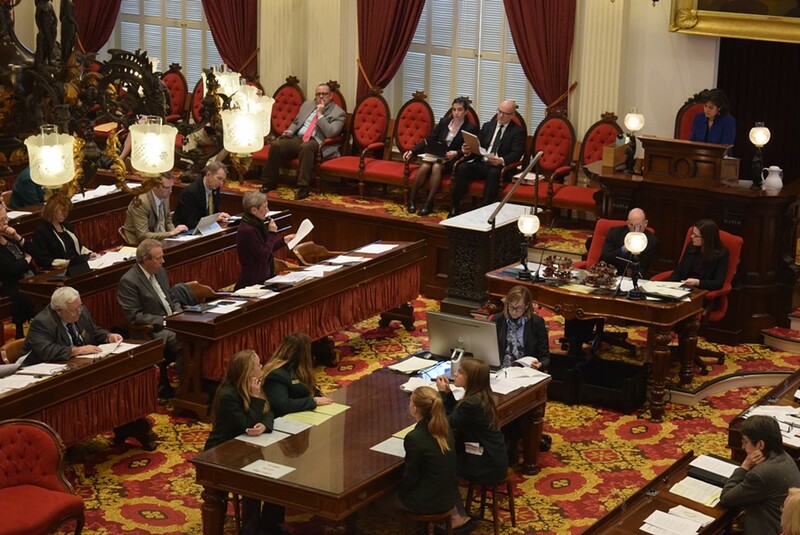 By 7 p.m. Wednesday, a crowd started to stream into the Vermont House chamber for a Farmers Night performance — only to find legislators still filling the seats. Representatives remained mired in a nearly six-hour debate about recounting an election race, even though virtually no one expects the results to change, or offered solid proof of vote-counting error. “The results could be the same. The results could be different. 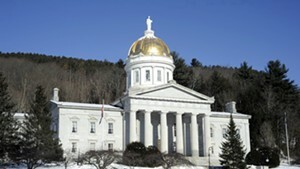 We don’t know,” argued Rep. Maida Townsend (D-South Burlington), chair of the House Government Operations Committee. There were plenty of allegations to go around, however, as legislators accused each other of plotting election fraud and of partisan posturing. When it was over, the House voted 76-59 along party lines to initiate a recount in the Orange County race. 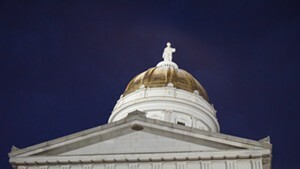 House Speaker Mitzi Johnson (D-South Hero) defended the lengthy debate. “It’s worth the investment of our time to make sure there is integrity to our election process,” she said afterward. Republicans disagreed, arguing that the recount itself compromises the integrity of the election process. and judiciary involved in the Orange-1 district election and recount,” House Minority Leader Don Turner (R-Milton) said on the floor. Rep. Ron Hubert (R-Milton) joins fellow House Republicans in criticizing Democrats’ vote to recount the race. 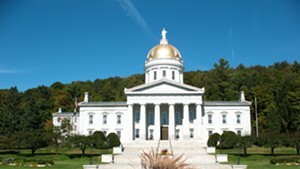 Town clerks around Vermont were equally miffed. 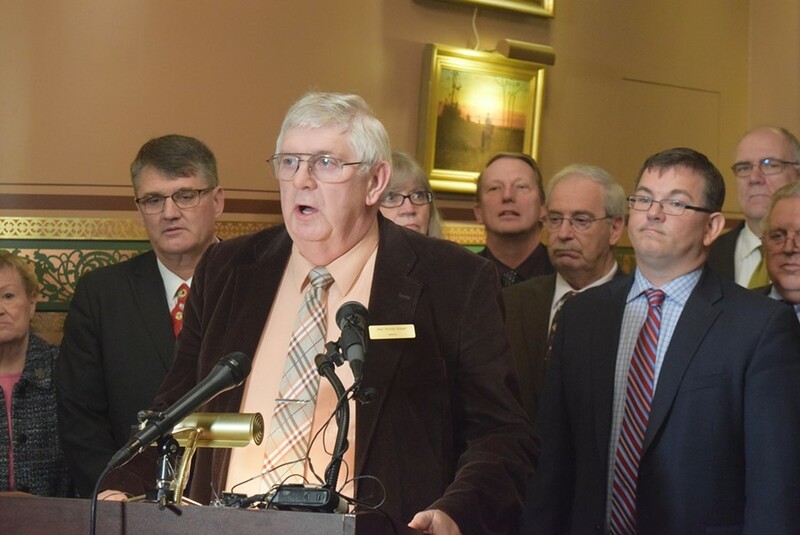 “We firmly believe this is undermining the integrity of all town and city clerks as well as the justices of the peace, that are elected to serve as members of the Board of Civil Authority,” the Vermont Municipal Clerks’ and Treasurers’ Association said in a statement. The recount ruckus revolves around a House race won by Republican Bob Frenier of Chelsea. He ousted longtime Progressive incumbent Susan Hatch Davis of Washington. Frenier’s margin of victory went from eight votes on election night to six after a recount, then bumped back to seven votes after a judge certified the results. He was sworn in to the House in January. 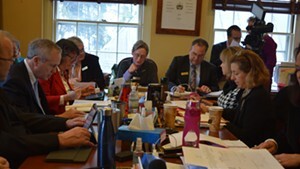 Hatch Davis turned to the legislature for another recount, alleging there were inconsistencies in the way the district’s six towns counted votes. Though the House Government Operations Committee found no solid evidence of miscounted votes, the Democratic majority argued that a recount would reassure voters that electronic tabulators work properly. Wednesday’s vote grants Hatch Davis an as yet unscheduled recount to be overseen by legislators themselves. “It’s good. 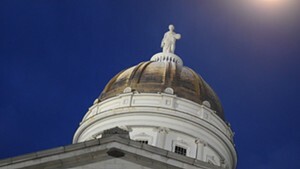 Good news,” Hatch Davis said as she left the Statehouse following the vote. Republicans accused Democrats of plotting to manipulate the results in Hatch Davis’ favor. “That’s our concern,” Turner said at a press conference to denounce the vote. Democrats insisted that Hatch Davis raised enough questions about the vote-counting process, even though they had no evidence of election improprieties. As she spoke, lawmakers yielded their House seats to the evening’s audience. The day’s long session wrapped just in time for poet/performer David Mills to begin his 7:30 p.m. show honoring Martin Luther King Jr. Mills was scheduled to perform King’s “I Have a Dream” speech.